A Reader Asks: Why "Pro Multis"? Édouard Hugon (1867-1929), Roman Catholic Priest, French Dominican, Thomistic philosopher and theologian trusted and held in high esteem by the Holy See, was a famed professor at the Angelicum at the turn of the 20th Century, as well as a well-known author of philosophical and theological manuals in the school of traditional Scholastic Thomism. Florentin-Louis Hugon was born on August, 25 1867 in Lafarre, France, a small mountain village in the Diocese of Puy-en-Velay. At eighteen years of age, having finished secondary school, he entered the Dominican Order in Rjickolt, Holland, where the Studium of the Province of Lyons was taking refuge from political persecutors. The following year he received the Dominican habit under the name Brother Édouard. He made his solemn profession on January 13, 1890 and was ordained priest on September 24, 1892. He immediately began his teaching career, which lasted until the end of his life. He successively taught in Rijckolt (Holland), at Rosary Hill (New York), in Poitiers, in Angers, again at Rijckolt, and finally at the Angelicum (Rome) from 1909 to 1929. He also worked as Consultant for the Sacra Congretio pro Ecclesia Orientali. Perhaps his most notable contribution as a writer is his authoring of the ecclesiastical document known as "The 24 Thomistic Theses," which was issued by the Sacred Congregation of Studies under the authority of Pope St. Pius X in 1914, and which is the Catholic Church's official pronouncement on what positions constitute "Thomism." Tractatus dogmatici, 3 vols. ("Dogmatic Treatises," a course on theology organized as a commentary on Aquinas' Summa Theologiae). Hors de l'Église, point de salut ("Outside of the the Church there is No Salvation," his Thomistic solution to the theological problem of salvation and membership in the Catholic Church). Les XXIV theses thomistes ("The 24 Thomistic Theses," a work which explains the ecclesiastical document by the same name). La causalite instrumentale dans l'ordre surnaturel ("Instrumental Causality in the Supernatural Order"). Angelo Walz, "Hugon (Edouard)" Dictionnaire de Spiritualité Vol. 7, Beauchesne: Paris, 1969; col. 858-859. M-Fr. Cazes, OP "In memoriam. Le tres reverend Pere Hugon" Revue thomiste 6(1929), 97-99. Reginald Garrigou-Lagrange, "In Memoriam. 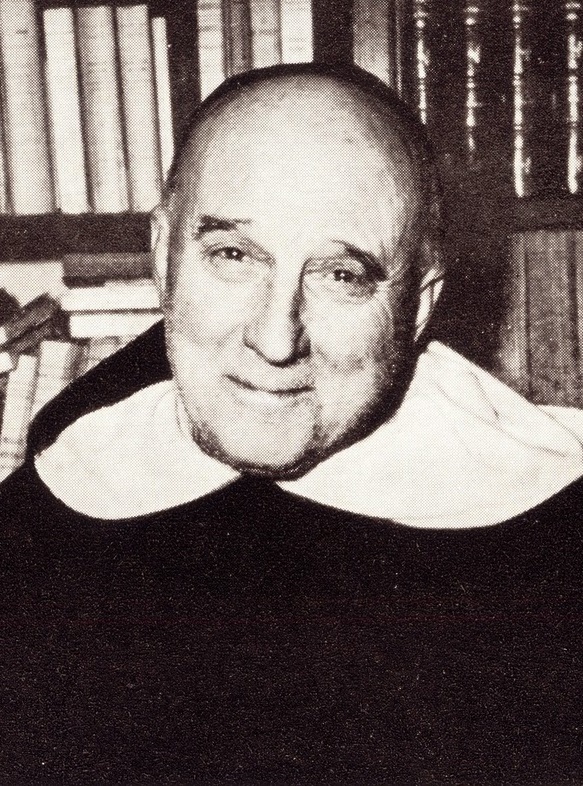 Un theologien apôtre, le P. Maitre Édouard Hugon, professeur de dogme à l'Angelico, à Rome," Pierre Tequi: Paris, 1929. "Hugon, Eduard (Edouard) (1867-1929)", biographical article in Biographisch-Bibliographisches Kirchenlexikon (in German). Presentation of Fuori della Chiesa non cè salvezza (Edizioni Amicizia Cristiana: Chietti, 2007), the Italian translation of Hors de l'Église, point de salut. "The 24 Thomistic Theses" (document of the Sacred Congregation of Studies, 1914). I love Eduardo Hugon OP. I love his works, I love his style. I love the layout of his books. They are organized, concise, packed with solid information. I wish there were more authors like him. Dear Prof. Romero, out of all the authors who are similar in style to Hugon, which are considered the most authoritative? There are many authors like Hugon, but Hugon is special because of his involvement with the 24 Thomistic Theses (the Church's official list of theses that constitute 'Thomism'), so you know he is 100% Thomist. John of St. Thomas comes to mind as being even more authoritative (he's Hugon's main source apart from St. Thomas) and has a similar style. Of course, John of St Thomas lived centuries ago, so Hugon improves upon him insofar as he incorporates centuries of development in the sciences and in dogma. Garrigou-Lagrange, too, is another who comes to mind as being one of the chief exponents of the Thomistic school. I, for one, use him as the test of truth in philosophy and in theology: if Garrigou says a certain view is right or wrong, I take his word for it until I find evidence (and every time I find evidence, it actually supports his judgment). I should add other names: Banez, Cajetan, and Cano among the ancient Thomists. Among the moderns, there are many others: Zigliara, Billot, Doronzo, Ramirez, del Prado, etc. Look for the "Meet the Scholastic Thomists" section on the sidebar of the blog for bio's of some of these thomists. I'm currently working on a translation of Hugon's 'Cursus philosophiae thomisticae'. It's over 2000 pp long so it will take me a while. P. Lumbreras, O.P., S.T.Lr., Ph.D.'s introduction and commentary on the 24 Thomistic Theses are very good.